Wearables – worth the hype? Today I went for my regular swim with my Poolmate watch and found myself very frustrated when yet again I found that it was not counting my laps correctly. I presume I am probably like quite a few wearable owners in that I do not really use all the functions of my wearable device but I do expect it to get the basics right. In this case the basic function is counting my laps. Learning how efficient my strokes are is great but not much help if the device is not counting the laps correctly. I have written previously about my frustration with wearables when they don’t work and again I find myself in the same position. Not that long ago life existed without wearables and we seemed to do fine. Given my personal “fail” rate with my devices I wonder if they really are worth all the hype … or where things better before they came along? The answer IMHO is yes and no. I think wearable technology is getting over-hyped but at the same time I think the opportunities that these devices offer are worth some hype nonetheless. Whilst my fails where frustrating they did not have a huge negative impact on my life (bar having to go back to counting laps in my head). In fact for many people a wearable is just a helpful addition to their fitness routine, which may indeed have a positive outcome on their health, for example the average fitbit user actually takes 43% more steps per day. If the device fails the worst case scenario is that for a while we may do less exercise – or just go back to how we always did it in the past. However in other situations wearables could have a significant impact on people’s lives and in these cases the last thing you want is a device that does not work (especially if the fail is not spotted quickly). There are devices for example which patients could be using as a real support, for example in diseases like Alzheimer’s, or which have a large impact on their healthcare. Budgets could also be impacted, for example a recent study found that hospital costs dropped 6% for those who were inactive and became active. Failing devices which patients have become dependent on could lead to higher re-admissions and subsequent costs, or worse. Linking the potentially very important impact from these wearable devices for some patients to a questionable device reliability does quite rightly result in a red warning flag. Currently many of the devices are being built for consumer fitness and a fail rate just results in disgruntled, perhaps slightly less fit, consumers. Moving these devices then into a more critical health environment without taking into account the greater impact could be a serious concern. Are these wearable technology companies doing enough to test their devices for duration and reliability in a more critical environment? Or are they just adapting consumer devices to seize a growing opportunity in the healthcare market? Are regulations adequate for these wearables – or indeed are regulations hindering innovation? These are just some of the questions that accompany the hype of wearable devices. Despite my frustration today with my device I am still a big advocate for wearable technology simply because I do believe with time we will see some very positive impact coming from them for patients. In the meantime though perhaps we had best be careful of the over-hype and set our expectations around wearables more realistically. I for one am looking forward to getting my new Swimmo watch but I am also taking into account that it may not be all it is cracked up to be – or all that I hope – but if it can count my laps correctly for the next few years I will be happy. Wearables are this year’s hot item. They are trendy and all the cool kids want one. They can link to your mobile, they can tell you your heart rate, how far you have run, calories burnt and they are shiny. I want one. Or rather I want another one and this time I want one that actually suits my activity and lifestyle not that of some marathon running health junky. I also want a wearable that actually has a decent lifespan – both in terms of battery life but also in terms of years of use. My first request, that of a wearable that suits me, has been quite hard to find. The majority of consumer wearables and health apps are heavily focused on jogging or walking. My recently purchased Samsung S6 has a health app, S Health, which seems okay, ticking quite a few boxes, as long as you are into running. You see my problem is that I do not jog and do not ever intend to jog (my body is not made for running). I walk a fair bit but not as a “sport”. The only real sport I do is swimming. Whilst the app does give you the option of adding a whole array of other sports the parameters for these is very restricted, and IMHO pretty rubbish. I am a “proper” swimmer, and even had lessons a few years ago to perfect my strokes. I swim a reasonably paced front crawl and I try to swim between 2-3km a day and I swim 1km in about 15 minutes. My S Health app however only gives me the variable of time – I cannot input what strokes or distance along with time. I swim faster than a lot of swimmers in the pool, doing a strenuous stroke, and what I swim in 30 minutes is very different from what they swim. Equally those powering past me in the other lane are swimming way more laps in that time frame. Yet the S Health app does not allow any input other than time. That is pretty rubbish. 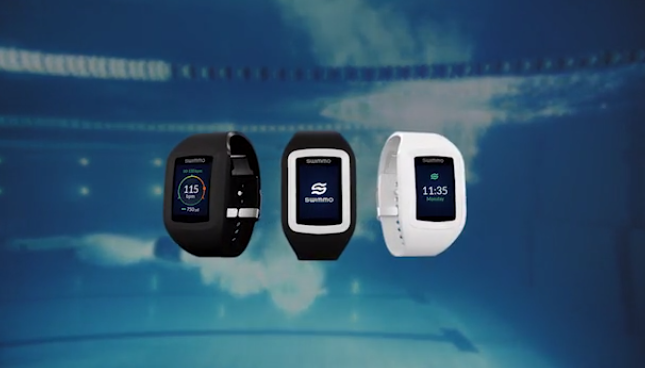 So how about buying a wearable for swimming? Well I have. Been there done that. 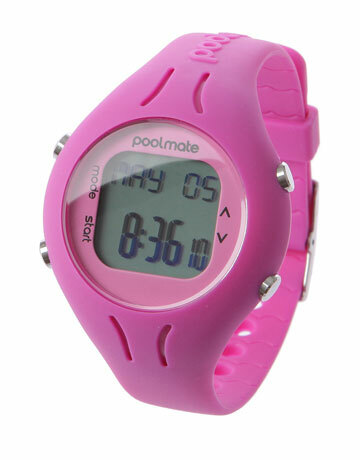 I bought a PoolMate Swimmers watch which counts my laps, speed, distance, efficiency and time. I loved it! It was great and allowed me to concentrate on my swimming without having to worry about counting laps. It also finally allowed me to get an idea of how I swim and how many calories I burn (turns out I am quite an efficient swimmer). Sadly though it is not “smart” so I cannot synch it to my phone or track my progress with an app. It does however come in colours other than the usual dull black (I opted for the baby blue version). Then there is the lifespan of the product. I bought my PoolMate just over a year ago and have been using it on a very regular basis, but recently it has stopped counting laps properly. I am gutted as I now have to go back to counting my laps. The poolmate is however not the first wearable I have had – I had a Nike Fuelband too. That also turned out to be cool to start with before it went demented. In the case of the Fuelband I gave up on it when I had done a 2 1/2 hour hike up a Swiss mountain and the stupid thing told me I had not met my target of steps for the day! Both of these products started with high cool and wow factors and I was very happy with them, only for them to then shatter my happiness by losing accuracy. As I look at many of the new wearables and technology hitting the market I notice that we do not seem to be that fussed anymore about product lifespan. Many of the new smartwatches may be mega shiny but they often only have a battery life of a day! What is the point of a watch that you need to charge every day?! The same actually goes for phones – but as long as my phone last a day with full use I am happy (my old iPhone 5 did not manage this at all in the end – it barely made 1/2 day). We seem to have moved into a world where we are happy for products to have a short lifespan and batter life – or is it in fact that we have just accepted that this is the new world because this is what the manufacturers offer us? Newer phones come out with more shiny functionalities but not much improvement on batter power. Wearables last a year or two and then there is the expectation that we will upgrade or buy a new one. Is this right? I feel like it shouldn’t be.